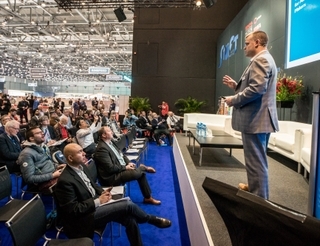 GENEVA INTERNATIONAL MOTOR SHOW, Geneva – Driving while tired, distracted or over-stimulated may become a thing of the past, thanks to new technology demonstrated for the first time in Europe at the Geneva International Motor Show. Pioneered by HARMAN International Industries, Incorporated (NYSE:HAR), the premier connected technologies company for automotive, consumer and enterprise markets, the new technology measures increases in pupil dilation as an indication of a driver’s mental workload. HARMAN’s new proprietary eye and pupil tracking system recognizes high cognitive load and mental multitasking in the driver’s seat, and signals the car’s other safety systems to adapt to the driver’s state. 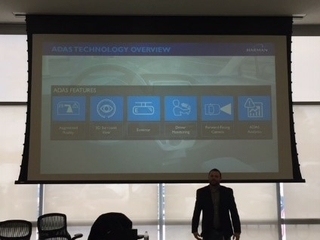 The technology represents a major step forward in the domain of Advanced Safety and Driver Monitoring Systems (DMS) for vehicles.